Tiberius Claudius Caesar Augustus Germanicus was Roman emperor from 41 to 54. Because he was afflicted with a limp and slight deafness due to sickness at a young age, his family ostracized him and excluded him from public office until his consulship, shared with his nephew Caligula in 37. Claudius proved to be an able and efficient administrator. He was an ambitious builder, constructing many new roads, aqueducts, and canals across the Empire. During his reign the Empire began the conquest of Britain. 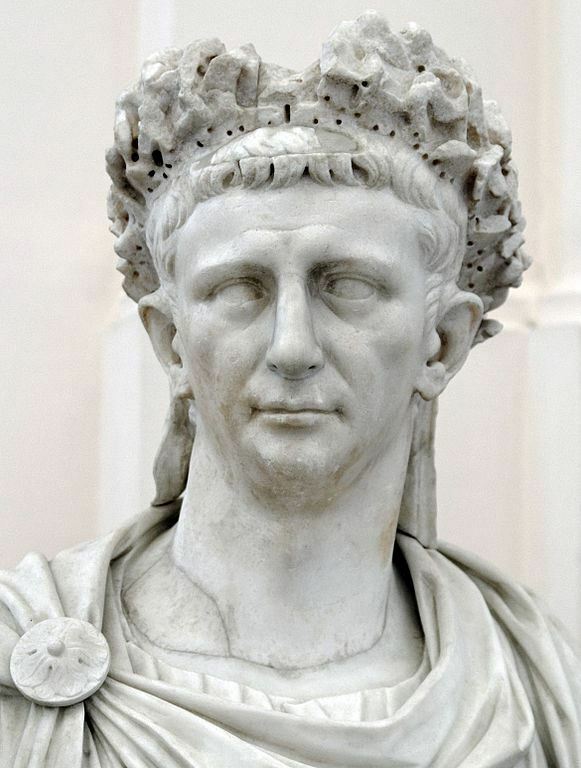 Claudius was murdered by poison and died on October 13, 54 - the plot was likely instigated by his third wife, Agrippina II, who wanted her son Nero from a previous marriage on the throne, rather than Claudius' son Britannicus.